HOURS: Sunday - Wednesday: 9 AM - 8 PM Thursday - Saturday: 9 AM - 9 PM Final Entry is 45 Minutes Prior to Closing. Discovery Times Square (DTS) is proudly presenting The Hunger Games: The Exhibition (starting 7/1) and Marvel's Avenger's S.T.A.T.I.O.N(open now). We are New York City's first large-scale exhibition center presenting visitors with limited-run, educational and immersive exhibit experiences while exploring the world's defining cultures, art, history, and events. More than a museum, Discovery Times Square is the destination for discovery through unique and immersive exhibits in New York. Here, events epic and rare come to life by connecting you to the greatest human stories ever told. Intelligent, exciting, and moving - it's the experience that counts. DTS has featured a renowned line-up of exhibitions including Titanic: The Artifact Exhibition, Leonardo Da Vinci's Workshop, King Tut, Pompeii: The Exhibit, Harry Potter: The Exhibition, Dead Sea Scrolls: The Exhibition, and most recently Terracotta Warriors: Defenders of China's First Emperor. 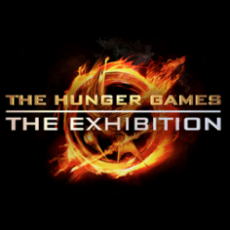 The Hunger Games: The Exhibition celebrates the blockbuster The Hunger Games franchise and Katniss's epic journey like never before. This dynamic exploration of the art, science, pageantry and history of the world of Panem features iconic costumes, props, and set recreations that highlight the technological wizardry and amazing artistry that brought this world to life. High-tech, hands-on interactives let you dive into exciting behind-the-scenes content, engage deeply with the world of the films, and discover a whole new side of the stories that took the world by storm.